Cherry Creek Windows & Doors is your local Seattle expert in installation, repair and sales of quality replacement windows and doors. We are also a wood windows manufacturer. 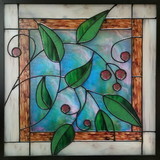 A Window's View Affordable High-End Applied Stained Glass Printed Film, any size, shape, style or design. No boring drapes or blinds here. Window Film has the luxury look of Stained Glass without the high cost. Many options are available, endless colors, textures, photos and with or without raised leading applied. Can use real photo prints right into the design. Get your privacy back! Protect your furnishings, soften the glare of the sun or brighten a room. Rooms with no window, no problem! Backlit Box on the ceiling or wall brings light in with beauty. We specialize in window film, privacy film and frosted film. Easy to apply in Home, Office, Restaurants or Rv's. Easy shipping. Printed wall murals, canvas, adhesive and non-adhesive also available. 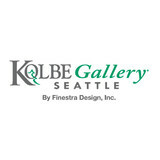 If you don't see what you're looking for call for a free custom design consultation! Whether you’re building a new Redmond home, remodeling an old one or just replacing a few windows that are past their prime, your window dealer in Redmond, WA will help you pick the right windows for your needs, home style and budget. Windows come in so many sizes and types that expert advice and direction is invaluable in helping you make the best decision. These pros can also help you with custom window designs that complement your space better than something ready-made. Lastly, if you are interested in doors with windows, these experts are also knowledgeable about sliding doors, French doors and other paned portals. Find a window dealer on Houzz. 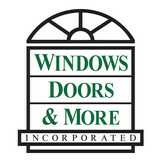 Narrow your search in the Professionals section of the website to Redmond, WA window dealers. You can also look through Redmond, WA photos to find examples of windows that you like, then contact the window professional who worked on them.